Search engine optimization (SEO) is perhaps the most controversial and confusing tactic in digital marketing. Most businesses have come to realize that web traffic is crucial to their success, but that there is also no magical solution to put their sites in front of users. Instead, there is SEO: the practice of increasing the number of visitors to a website by obtaining high-ranking placements in search engine results pages (SERPs). For years successful SEO campaigns consisted of a mere handful of keyword placements and tricks, such as the once-acceptable practice of using a content farm to fill websites. These services, which produce a high volume of content with little emphasis on originality, once boosted websites to top positions in SERPs. However, the SEO world has changed drastically since those days, mostly due to Google’s forward-thinking Webspam team and their fearless leader, Matt Cutts, who are dedicated to one very important objective: providing users with quality, relevant, and diverse search results. As the Internet has grown, the way Google defines those characteristics has also evolved. To reflect these changes, Google updates its search algorithm roughly 500-600 times per year. These are typically minor and hardly noticeable, but occasionally a major update is rolled out that significantly affects search results and SEO processes. Enter Google Panda. Google first introduced Panda in February 2011 as a filter designed to stop websites with poor quality or shallow content from making their way to the top of Google’s search results. The original change was estimated to impact about 12% of US search results. Would you trust the information presented? Are there duplicate, overlapping, or redundant articles on the same or similar topics on this site, but with slightly different keyword variations? Would you give your credit card information to this site? Are there spelling, stylistic, or factual errors? Do the topics represent genuine interests of this site’s readers, or do they seem to focus on what may rank well in search engines? Does the page provide significant value when compared to others in search results? Was the content edited well, or does it seem sloppy or hastily produced? Would you trust health-related information from this site? Is this the sort of content you’d want to bookmark, share with a friend, or recommend? Is there an excessive amount of ads that distract from or interfere with the main content? Between the 2011 launch and March 2013 there were 25 updates or ‘refreshes’ made to Panda. At that point Google stated that it was integrating Panda into the overall search algorithm and would no longer announce or confirm updates to the algorithm, as they would be very small and ‘rolling’ refreshes on a monthly basis. These smaller updates should not be taken lightly, though, as they can have just as serious of an impact if your website is hit. The recovery process can take around six months on average, and there is no shortcut to the finish line. 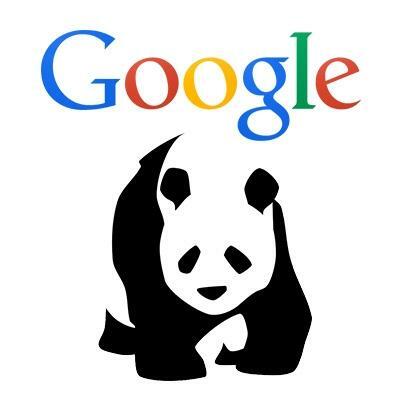 The post Understanding the Impact of Google’s Panda Update on SEO appeared first on Search Optics Blog.